SENIOR officers at Maghaberry Prison are being retrained in procedures to manage vulnerable prisoners. In response to a written Assembly question, Justice Minister David Ford said that the governor of Maghaberry had taken the decision following the publication of the Prisoner Ombudsman’s first near death in custody report in May this year. The staff are to receive “refresher training” in Supporting Prisoner at Risk (SPAR) procedures. The ombudsman’s report revealed that the senior officer directly involved in the supervision of a vulnerable and suicidal prisoner – referred to as Mr C – was not properly trained until after the prisoner’s suicide attempt. The 31-year-old prisoner who attempted suicide on February 19 2012 in Maghaberry Prison, is not identified in the ombudsman’s report. He was left severely brain damaged because of the incident. The Justice Minister also confirmed that no one has been disciplined following the publication of the ombudsman’s report. In a previous interview with The Detail the mother of Mr C said that important warning signs were missed and that her son was “crying out for help”. Reacting to the Justice Minister’s statement regarding staff training, Mr C’s family’s legal representative, Paul Pierce of KRW Solicitors, said: "We welcome the measures that are now being taken by the Northern Ireland Prison Service in light of this deeply disturbing and very critical report following the attempted suicide of Mr C.
“However these new measures must be properly implemented, managed and monitored closely if they are to have any real and meaningful impact on the lives of vulnerable prisoners. 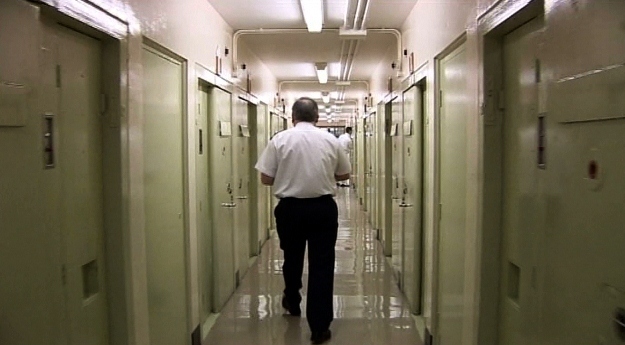 The prison watchdog’s investigation found that despite a requirement to check the prisoner’s cell in the Care and Supervision Unit every 15 minutes, there was a gap of almost half an hour between the previous check and staff realising that Mr C was unresponsive in his cell. It then took a further five minutes before his cell door was unlocked to enable him to receive emergency medical treatment. Prison staff in Northern Ireland were trained in Applied Suicide Intervention Skills Training (ASIST) in June 2007 and SPAR training first commenced in May 2009. Once SPAR procedures have been started, case conferences are required at set intervals to monitor progress. A SPAR procedure can only be stopped when members of staff are satisfied that the level of risk is no longer a problem. It was conducted without the required attendance of a nurse. It was conducted in the observation cell. It lasted only two minutes. It failed to identify the need to follow up Mr C’s outstanding mental health assessment. It was chaired by a senior officer/case manager who was not trained in the SPAR process. At interview with ombudsman staff, the senior officer who chaired the case review said that he had not received any training in the SPAR process at the time and, as a result, did not know that a member of healthcare staff must attend and that a review would not normally be held in a prisoner’s cell. The ombudsman’s report noted that over the previous 24 hours before the case review, Mr C had displayed a number of possible risk factors listed in the Prison Service Suicide and Self Harm Prevention Policy such as “irrational behaviour, anxious appearance, withdrawn or depressive manner, talks about death or suicide, disturbed sleep, unusual, untoward or bizarre behaviour”. Mr C’s suicide attempt occurred on February 19 2012. The ombudsman concluded that the prison officer in charge of Mr C’s case review did not receive the necessary training when he had made the review arrangements the day before (February 18 2012). Prison records also outlined that the senior officer only attended ASIST training the day following Mr C’s suicide attempt (20 February 2012) and attended training in the SPAR process the following day (February 21 2012). Olwen Lyner, chief executive of the Northern Ireland Association for the Care and Resettlement of Offenders (NIACRO), claims the same issues about how the prison service deals with vulnerable prisoner are being raised time and time again. She said: “We, in NIACRO, have raised our concerns about the SPAR process in the past. The process in itself can only ever be one element of a package of care for vulnerable people. We must all be conscious not to encourage an over reliance on adherence to procedures at the expense of the provision of safe and appropriate custody. “The Prisoner Ombudsman’s reports have repeatedly highlighted the importance of the quality, rather than just the quantity, of human contact in caring for vulnerable people within our prisons. Last Friday (May 31 2012) the Justice Minister responded to a number of written Assembly questions submitted by the DUP MLA Lord Morrow concerning the ombudsman’s report on Mr C.
The minister confirmed that following consideration of the content of the Prisoner Ombudsman’s report the governor of Maghaberry Prison had arranged for all senior officers to receive refresher training in the SPAR procedures. Mr Ford also confirmed that the NIPS has drawn up an action plan for 31 of the 44 issues of concern highlighted in the Prisoner Ombudsman’s report. The 13 other issues of concern relate to healthcare matters and are being dealt with by the South Eastern Health and Social Care Trust, which is responsible for prison healthcare. Equality for whom: how is the Equality Commission delivering?